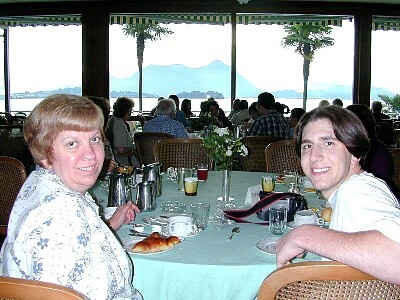 Mom & Joe at breakfast in the restaurant of the Grand Hotel Dino, the 5 star hotel where we stayed on Lake Maggiore in Baveno. 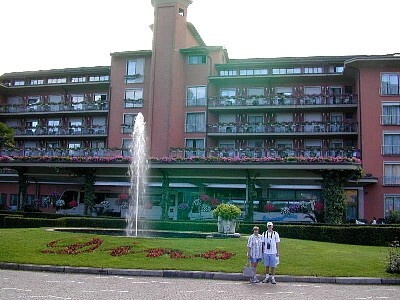 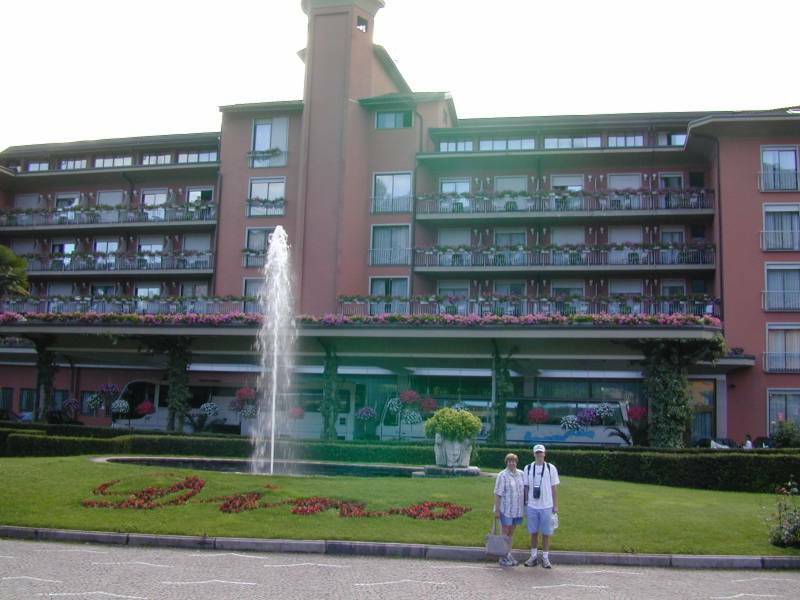 Mom & Joe in front of the Grand Hotel Dino, the 5 star hotel where we stayed on Lake Maggiore in Baveno. 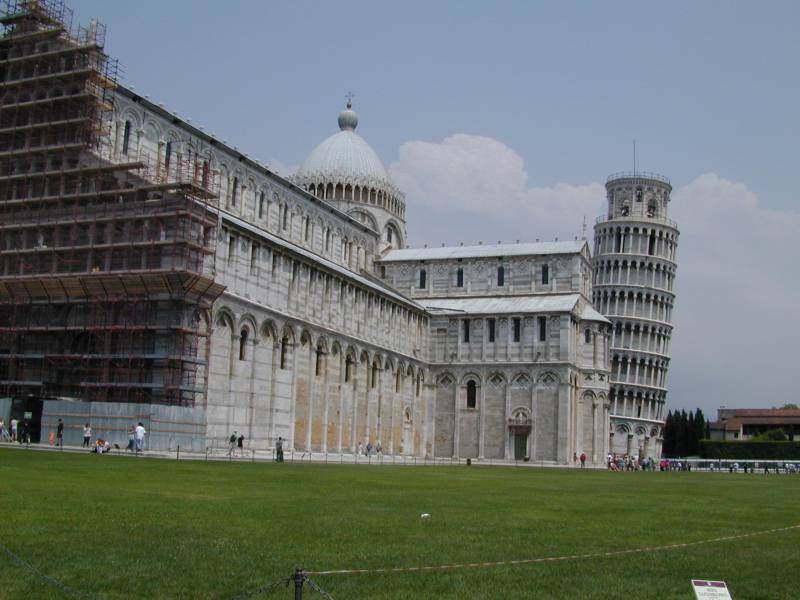 The Duomo (Cathedral) and Torre Pendente (Leaning Tower) of Pisa. 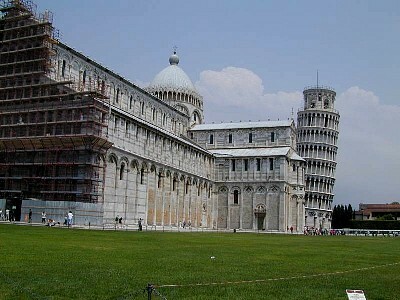 The church was built from 1068 to 1118 AD and the tower from 1174 to 1350 AD. 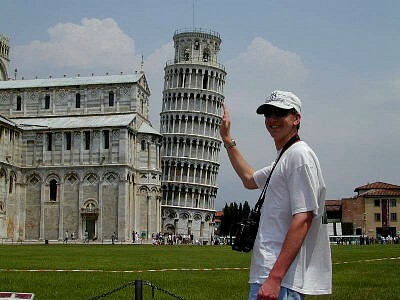 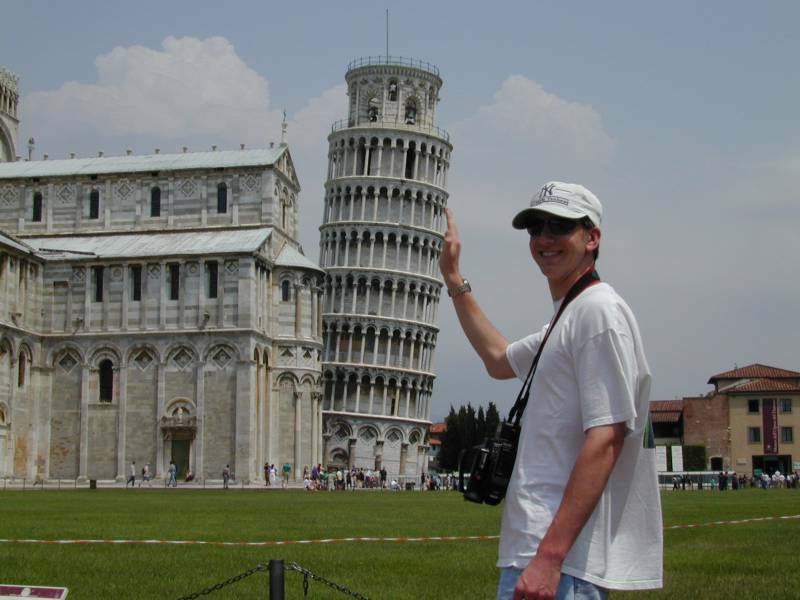 Joe trying to straighten up the Leaning Tower of Pisa. 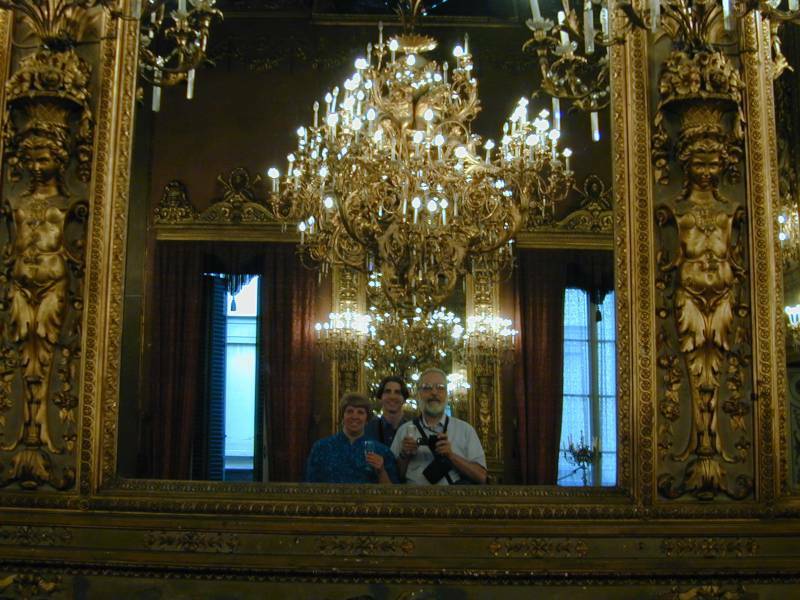 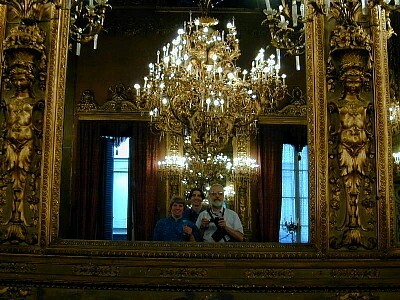 A Luciano Family self-portrait in the salon prior to our medieval dinner in Florence. 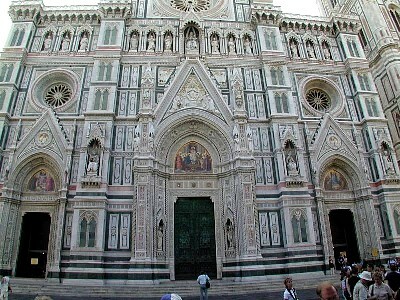 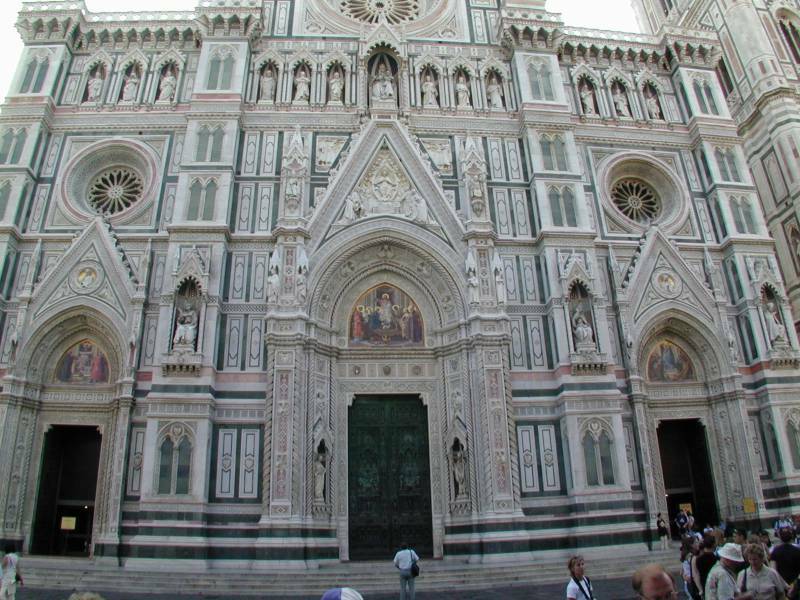 The front of the Duomo Santa Maria del Fiore (Cathedral of St. Mary of the Flowers) in Florence. 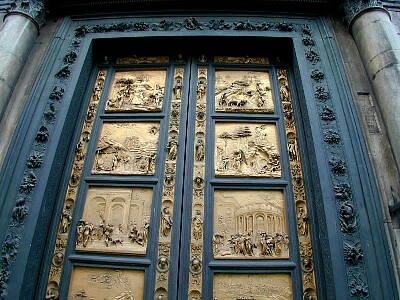 The "golden" doors of the Baptistry of the Duomo Santa Maria del Fiore (Cathedral of St. Mary of the Flowers) in Florence. 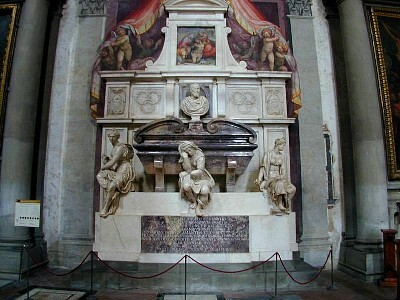 The tomb of Michelangelo Bonarotio in the Santa Croce Basilica (Church of the Holy Cross) in Florence. 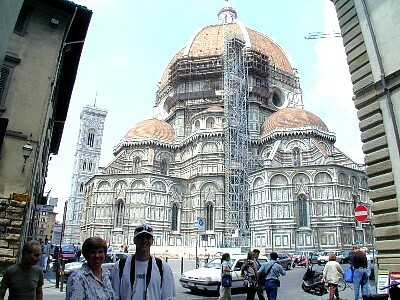 Mom & Joe at the rear of the Duomo Santa Maria del Fiore (Cathedral of St. Mary of the Flowers) in Florence. 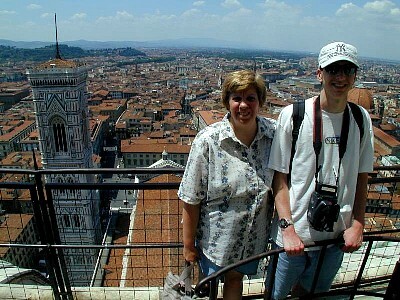 Mom & Joe and a view of the Duomo and Florence from the cupola at the top of the dome. 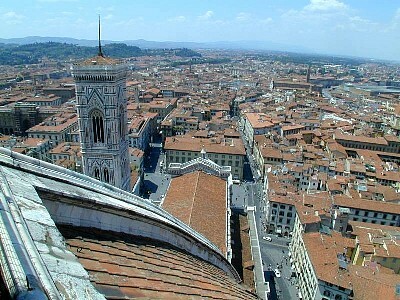 We climbed 459 steps to get up there. 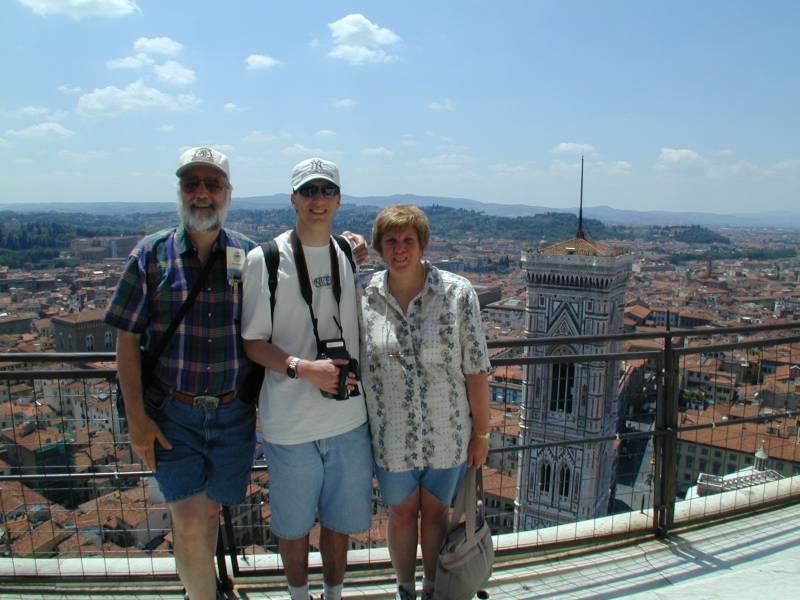 Dad, Joe & Mom and a view of the Duomo's bell tower and Florence from the cupola at the top of the dome. We climbed 459 steps to get up there. 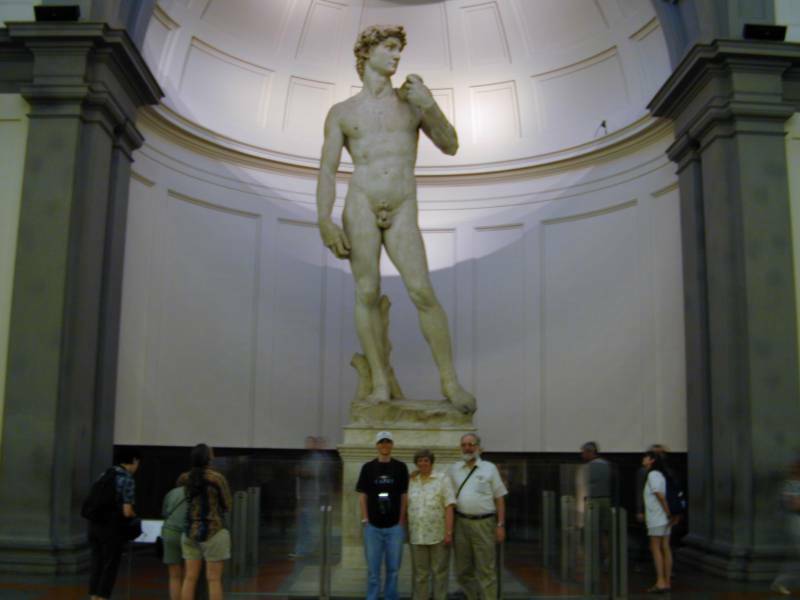 Joe, Mom & Dad in front of the famous David, a sculpture by Michelangelo in the Academy of Fine Arts in Florence. 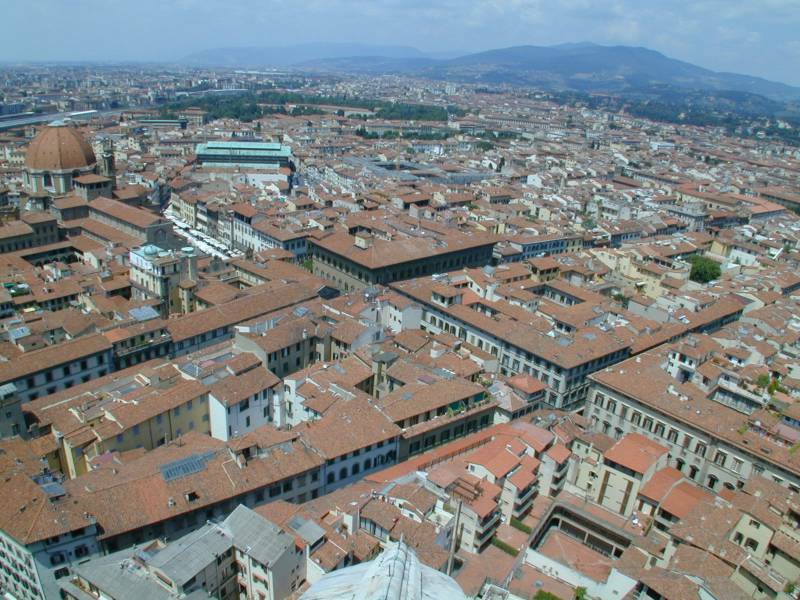 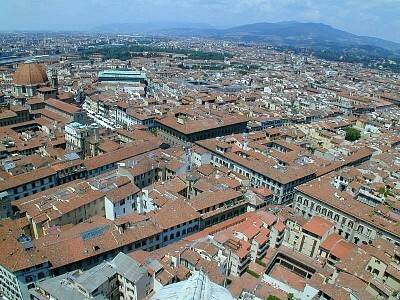 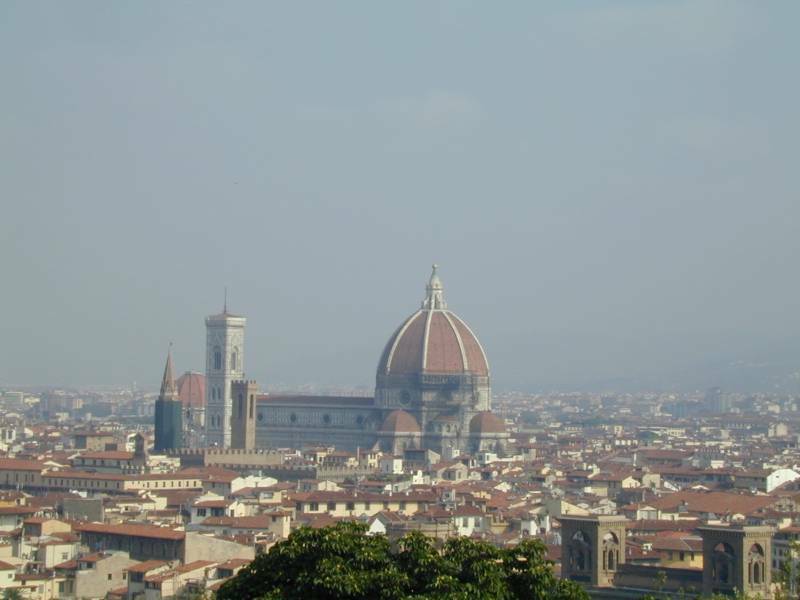 A view of Florence and the Duomo from the Piazzale Michelangiolo. 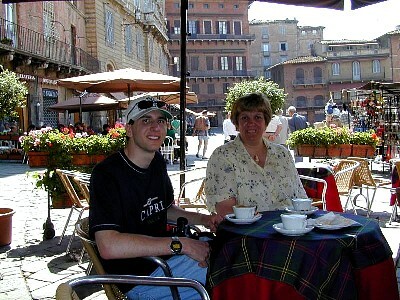 Joe & Mom having a pastry and cappuccino at a sidewalk cafe along the Piazza del Campo in Siena.